Hey you! Get you speakers out! It’s time for some Airpeople! And it’s time for me to admit that 9/10 bands on this blog have no singers… jolly brilliant, if you ask me. When we started with Airpeople we had a rough idea of the creative process, not so much of the way it should sound. A focus or the idea behind Airpeople is to experiment with all kinds of styles and to create music thats exciting for us to play. We’ve known each other for a long time before Airpeople, love to play music and trying new things keeps it interesting and fun. There are so many things you can try and we like to take our time for that. So far we never had a clear picture of the song before we started working on something new. Sometimes there is a vague idea for the atmosphere, everybody plays what he likes and then we see how the pieces can become a song. In the end the song can be very different from the original idea. Visit their site and have a listen to the first track of the album. And no, the oil drums aren’t real. 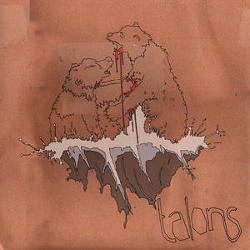 Just available from Big Scary Monsters is the debut single from Talons. You can listen to it on myspace or buy it on emusic. They’ve already got some rec from major magazines, so let’s see if they take it mainstream or continue to sound a bit odd. Mostly it’s the very aggressive and constantly playing violins, but they’re a welcomed attribution to the delicate and heavenly mix of post-rock and math. 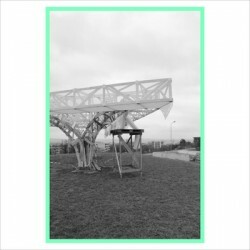 Another thing that should be in your record collection around September 25th is the debut full-length from Airpeople. Listen to the title track Golden City and you should agree that this is a winner. Oil drums… who would’ve thought. Thanks to Golden Antenna for releasing this. It’s on pre-order already.